Dictationstore offers the 2 best and most popular smartphone dictation applications for iPhone, Android and Blackberry. 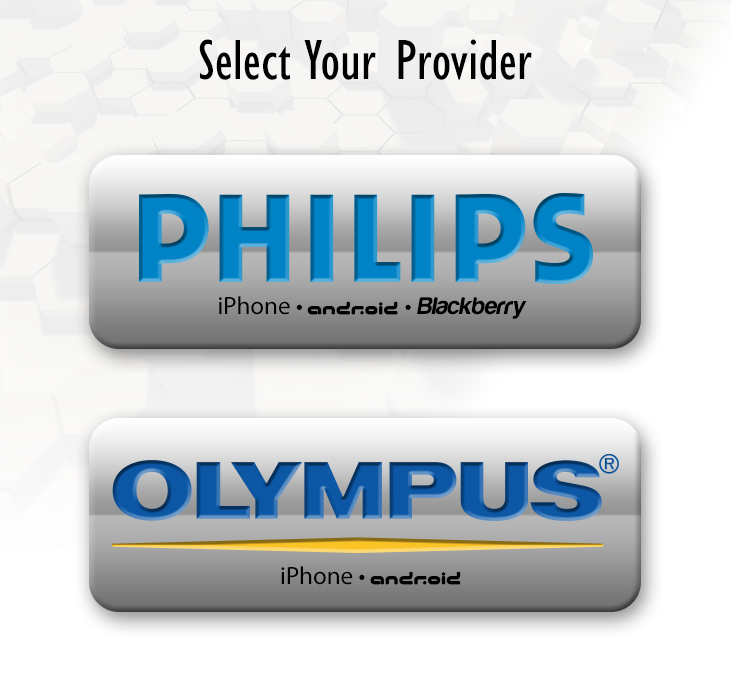 Choose the brand you like the most or the one that you currently use to learn more about the dictation applications available for Philips and Olympus. It is recommended that you use the application that corresponds with the digital equipment you already own.